Fall Day Camp Begins Monday! Attention Parents! Wondering what to do with your children next week during their Fall Break? We have the answer! 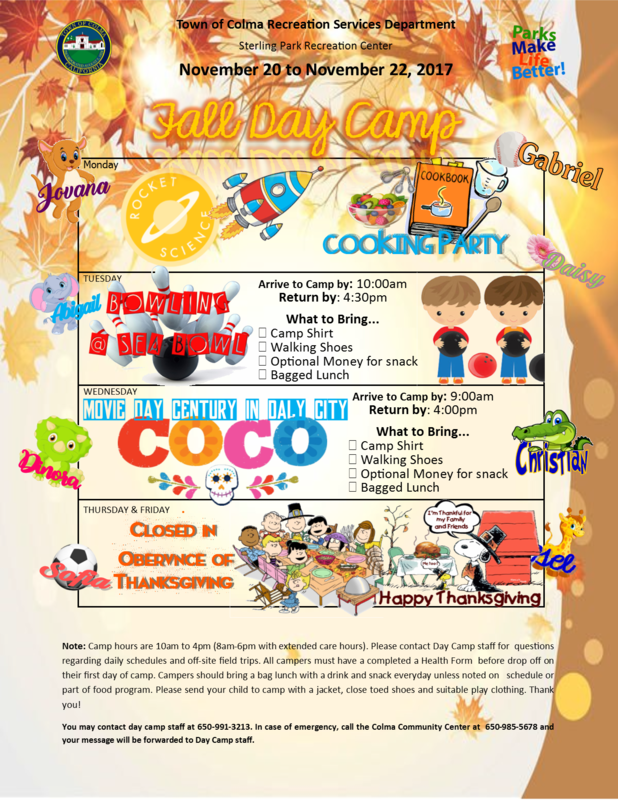 Send them to Colma Day Camp at Sterling Park! Take a look at our calendar for all the fun we have planned! Register online or at the Colma Community Center today!